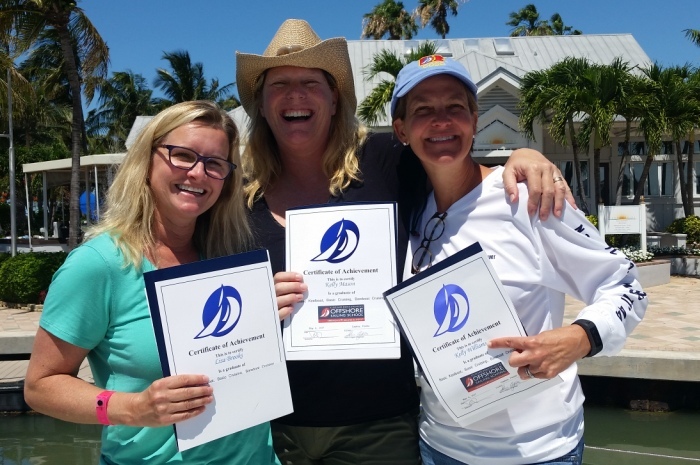 Offshore Sailing School is proud to have the most progressive sailing certification and powerboat certification education in the United States. Steve Colgate, the world’s pre-eminent sailing educator, started Offshore Sailing School in 1964 before there were any other known sailing schools around, and no certification. He developed our comprehensive sailing education curricula long ago and was inducted into the National Sailing Hall of Fame in 2015, not only for his sailing prowess, but for his impact on world-wide sailing education. Our Chief Operations Manager and faculty and Steve continually fine-tune course content and techniques to give you the ultimate edu-sail experience. from nearly every country in the world. Steve Colgate served on the World Sailing Training Committee and headed the US Sailing Training Committee that developed the US Sailing Certification system for commercial and community sailing schools throughout the United States. 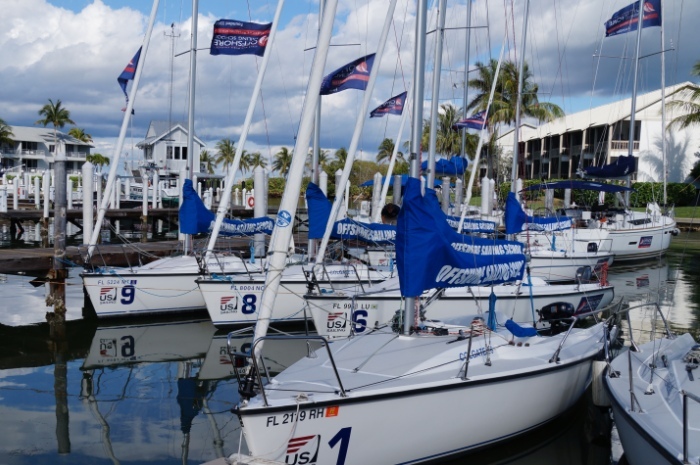 He has given much to the development of the US Sailboat certification system, but not all – requiring that the Offshore Sailing School team go beyond the standards set by US Sailing. courses in the US Sailing system. When you take a course with Offshore Sailing School you receive US Sailing books in addition to the books written by the Colgates, and your tests will be those provided by US Sailing. 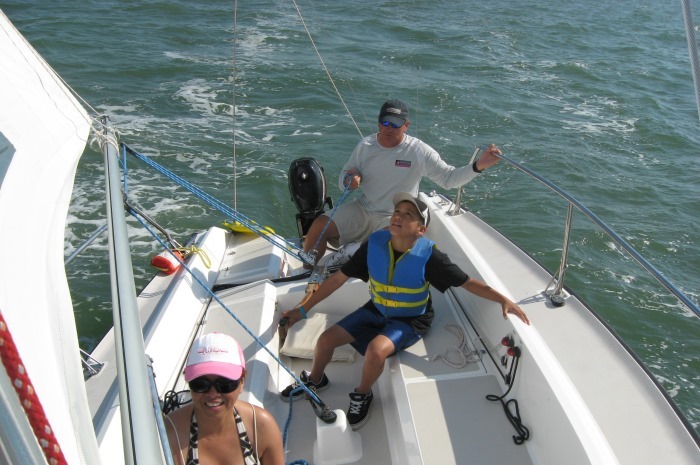 There is no extra charge to receive US Sailing Certification, and first-time students taking a course with Offshore receive a valuable one-year membership in US Sailing. We urge you to read as much as you can before arriving for your sailboat certification course – you will be far ahead of the curve and very comfortable on your first day out if you do. Offshore Sailing School’s Sailing Certification System goes even further, adding more comprehensive textbooks, more hands-on courses, and an online course. Offshore Sailing School textbooks far exceed the depth of information found in other books for similar courses. These comprehensive sailing and powerboat certification books are written and updated by Steve and Doris Colgate, or US Sailing National Faculty members. Most gratifying are the comments that come from our graduates, many of whom are top educators, professionals and leaders with years of training experience in their own fields. There simply are no other certification systems in the United States that meet the high standards required by Offshore Sailing School. All Offshore Sailing School instructors are tested in a grueling multi-day program, trained by Offshore Sailing School and certified by US Sailing. 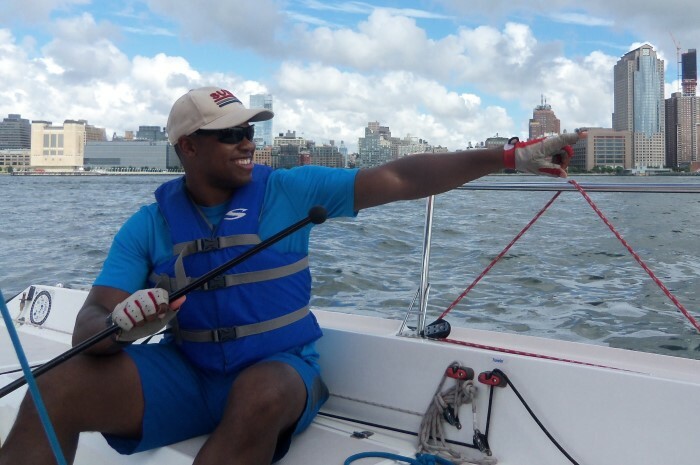 When you pass US Sailing tests or Colgate Sailing tests if taking a course that is not covered in the US Sailing system, you have profound personal validation of how much you learned, how much confidence you gained to pursue your sailing dreams. Start the right way, with Offshore Sailing School’s step-by-step program and go as far as you like, from novice to passage maker. Visit individual Sail & Power Courses to review available certifications or download the Sail & Powerboat Certification chart.